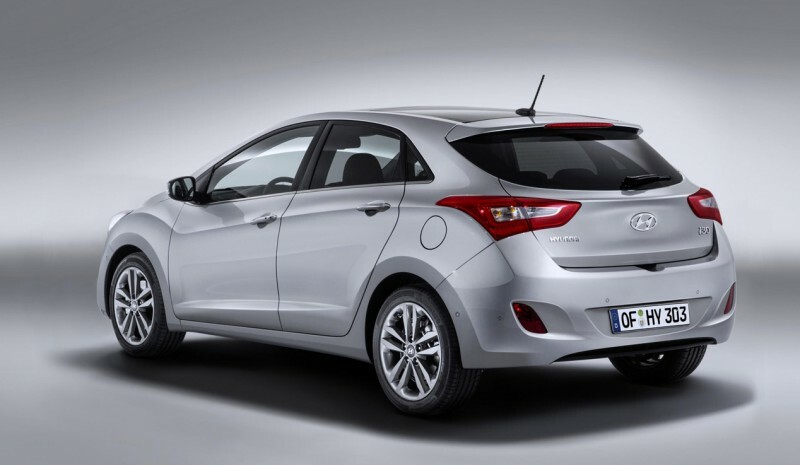 One of the best selling Hyundai today, the i30 (is the second best-selling model in Spain Hyundai ix35 behind), It updates for next March, when its second generation receive its first facelift. Aesthetically we not find many changes: the most important are on the front grille with a new hexagonal grille, and the alloy wheels, in their sizes 16 and 17 inches have been redesigned. The body also receives Three new colors: White 'Polar' orange 'Caramel' and black 'Jet'. The three versions of the Hyundai i30 -five door, three-door and also get familiar developments in the mechanical section. All engines now comply with antipollution regulations Euro6, with powers ranging between 90 and 186 hp. In Diesel, send four-cylinder engines: A 1.4 90 hp and a 1.6 110 and 136 hp, achieving a better record consumption 3.6 l / 100 km Y 94 g / km CO2 on emissions. In the range of petrol engines We found the biggest changes. The basic mechanics of 1.4 liters, is totally new, lighter, more efficient and now 100 hp power while the engine 1.6 liters states 120 hp. All these mechanics are weather, with system 'Stop & Go ' and a alternator management system (AMS), reserving the character turbo for the new version that accompanies this 'restyling'. The new Hyundai i30 also not miss your appointment of the five-year warranty offered by the South Korean brand in their models. 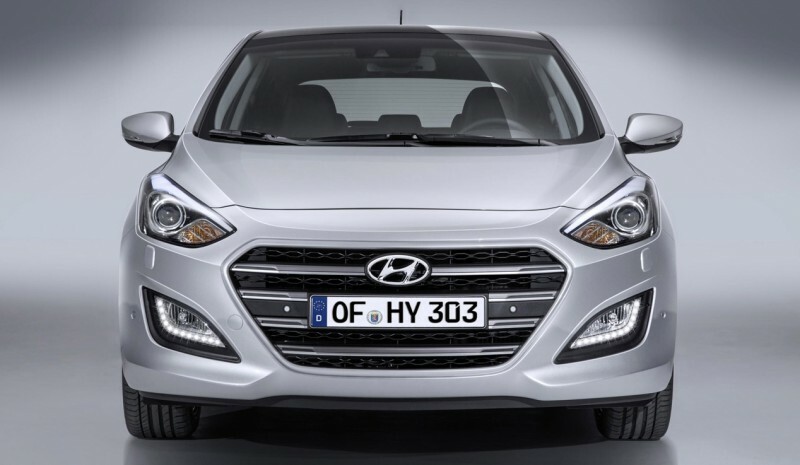 Technologically speaking, the updated i30 incorporates warning system in the car park exit, bi-xenon headlamps or improved intelligent parking system. 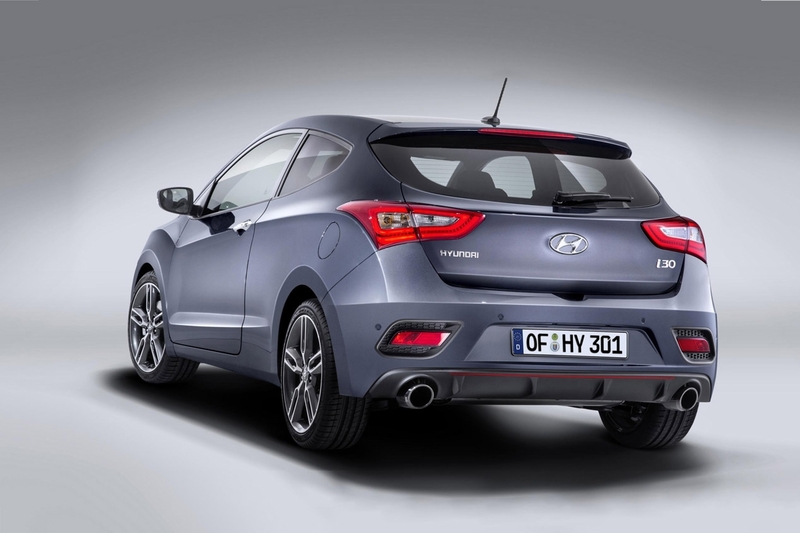 the novel Hyundai i30 Turbo part thereof 1.6 Engine TGDI we already knew the Veloster Turbo and with the same power and same pair: 186 hp and 27 mkg. 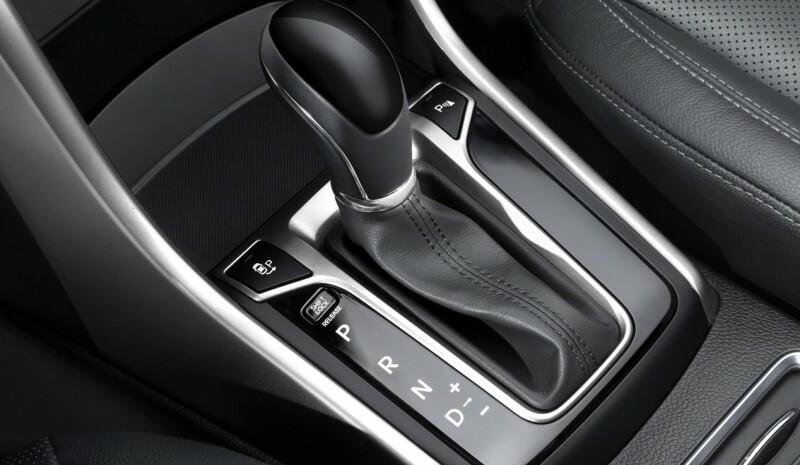 It is also associated with new automatic dual clutch seven-speed (Which replaces the old shift torque converter six-speed), a transmission is also available for mechanical 1.6 Diesel as an option. Accelerates from 0 to 100 km / h in 8 seconds and reaches 219 km / h.
Designed and developed in the art headquarters of Hyundai in Rüsselsheim, Germany, and developed in Nürburgring, the Hyundai i30 Turbo also comes with distinctive which give it a greater sportiness: Starting with the 18-inch wheels, the sports suspension or Specific settings for the direction; through the new front grille, the red accents in the front and rear bumpers, LE beaconsD front and double rear exhaust outlet; until the sports front seats, red accents and sporty instruments in the cockpit. Renault Mégane 1.5 dCi vs VW Golf 1.6 TDi, o que é melhor?